My life changed that night a year ago nearly to the day. But the truth is it had been changing for many years. I had slowly been losing the man who had taught me so many of my firsts. The one who taught me how to ride a bike and then was there to lift me up and carry me home when I had my bike accident. He taught me how to spell Rebekah, how to giggle hard, how to sing loud. He instilled in me a love for Jesus, a passion for the Word of God and a deep love of football. He was my Daddy and I loved him dearly. For each major change in my life, he was there, praying for me, supporting me, loving me and consistently pointing me to Jesus. When I left my home in Pennsylvania to go to college, 3 states away, he told me this- you will want to serve, Becky, but these next four years are meant to prepare you for all that God has for you. Don’t miss out on your studies because you are so eager to get to the service part. When I married my husband, my Daddy was the one who got choked up as he pronounced us husband and wife. He held all of his grandchildren. He started to forget which way he needed to turn on streets that he knew like the back of his hand. He would forget where I lived or what job my husband had. And when he looked at me with sad eyes and said, I think I am losing my mind, I knew it was a change I wasn’t ready for. But that is kind of how change is. We aren’t always ready for it. And sometimes we will hate everything about it. We will fight against it, wanting things to remain as they have always been. Losing my Daddy slowly was a lesson in change that I wish I hadn’t had to learn. Yet, I am thankful. Because I learned that God is gracious, that he is faithful even in the extremely difficult. I learned that His plan is perfect. On that night nearly a year ago, when I received the call that my Daddy had breathed his last, my life did not fall apart. Rather, I was able to rejoice in this change for my Daddy. His cry of give me Jesus! had been answered. His mind was at once restored. I don’t get to call him tomorrow and wish him a happy anniversary. But I do get to celebrate his life well lived. I don’t get to hear his voice and the way he called me Ree-bekah. But I can hear him singing in my heart. I don’t get to enjoy peach pie with him. But you can be sure I will be baking some for my kids. Change is inevitable. How will we receive it? Sometimes I long to sit down and have a nice long chat with you- the kind we used to have before your thoughts started to wander. The kind where I could tease you and we would laugh. The ones where you would share scripture and I would tell you what God was teaching me in His Word. I miss you, Daddy and I wish this was a change that I didn’t have to face. But I pray that I would be faithful in teaching my kids and loving them well, living a legacy that they will want to follow in. Thank you for doing that for me! I love you! That will never change. Five Minute Friday posts are an opportunity for me to write with abandon, without over thinking or over editing. When it comes to this subject, that is exactly what I need. 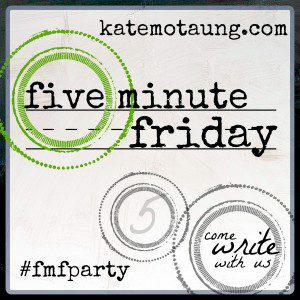 Five Minute Friday has a new host- Kate Motaung. I hope that you will take some time and meet her as you join in with this beautiful community of writers. Oh my. I want to say more, but the tears in my eyes are in the way of the lump in my throat. This is a very beautiful tribute. Wow, Becky. So beautiful – not just the writing, the movement – but the precious gift you were given in your Dad. I feel like I walked into your living room and got to know you so easily through this. 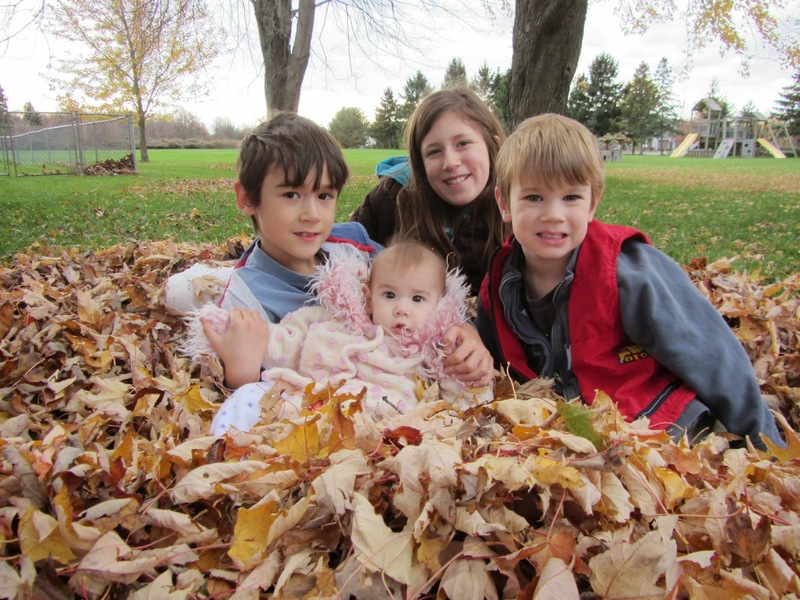 What a testimony to the beauty of God in the midst of change. Oh, this makes my heart happy as that is always my prayer as I write- that I would be transparent and that I would point to God’s goodness. So thank you. And I wish you had walked into my living room! Would be lovely to get to know you too! Oh Becky! What a beautiful tribute to your daddy 🙂 I loved your honesty in how your life did not fall apart when he was gone, all because God was there alongside you, supporting you and sustaining you. Thanks for sharing your thoughts which are an inspiration to me and many others. You have a beautiful way of writing. God bless you and your family as you continue to serve Him! Goodness, this is simply beautiful. I’ve got to wipe the tears from my eyes now. Your love for him, and his for you, is so evident here. What a blessing to have so many precious ways to remember your father. And imagine what that reunion in heaven will look like! It is my first time joining 5 Minute Friday. It brought me here. And I am so touched by your father’s love, and especially that message he gave you while in college. So profound. If you have a heart to serve… you gotta get prepared first. I long to serve, I feel God has given me training but this reminded me that it is okay too if God has more training for me, instead of sending me out. The design is very important that’s why split color LED segments are utilized. might be seen unstoppable trucks and construction vehicles. It could be the smallest and lightest smart phone in the world that Nokia has ever made. complete, you will notice a brand new folder while using name from the zip file present. renders your computer data useless to some thief. I found several chargers for older Dell laptops, but I wasn’t in a position to find any for those made inside the last year or two. – have a very lower potential for failure than laptops which are cheaper. Keep away from leaving the mobile computer under direct sunlight or inside a closed car. an business computer, Inspiron laptops are perfect. Whether we stay within our house or within the office, the importance of light could be notice. them all through the vegetative or cloning stage of growth. His eyes sparkled as he looked at me and emphatically pronounced, ”. point where it absorbs the light. The digital signal emanates from Tv Station is carried on the HD TVs via high-definition Television antenna. HDTV delivers bright and detailed pictures in an ultra-thin design. Elite hdtv outdoor antenna There is also a comprehensive breakdown of the channels you will get with every distinct sort of antenna. Understanding these will guarantee you get the best HDTV antenna recommendations. set if you find no digital antenna or if it does not catch the HD signals. you can be assured of an clear reception, especially with HDTV signals. physics of radio waves says that when all the things are equal, a more impressive antenna will work better. likely be getting installed all you need to do is to consult any professional antenna installation company to the same.